Chinese Arts Alliance of Nashville's Lion Dance Team was established in 2006. Since then, we added Chinese big drum group drumming. The performing team has been performing at various venues and ocassions include the opening for the Nashville Schermerhorm Symphony Center, the opening and closing for the Nashville Dragon Boat and River Festival, Celebrations of Nashville (former Celebrations of Cultures), Heart Ball, Eye Ball, Nashville Chamber of Commerce annual celebration, International Taichi Symposium, Nashville Public Libraries, Frist Center for the Visual Arts and pre-show for the Shakespeare in the Park. CAAN's Lion Dance Team also performed at various Chinese New Year Celebrations at the Vanderbilt University Passport Ball, Greater Nashville Chinese Association, Nashville Chinese School, Nashville Families With Children From China, P.F. Chang's China Bistro in Nashville, Chef Wang Restaurant in Murfreesboro, China King Restaurant in Clarksville, and Discovery Center at Murfree Spring. 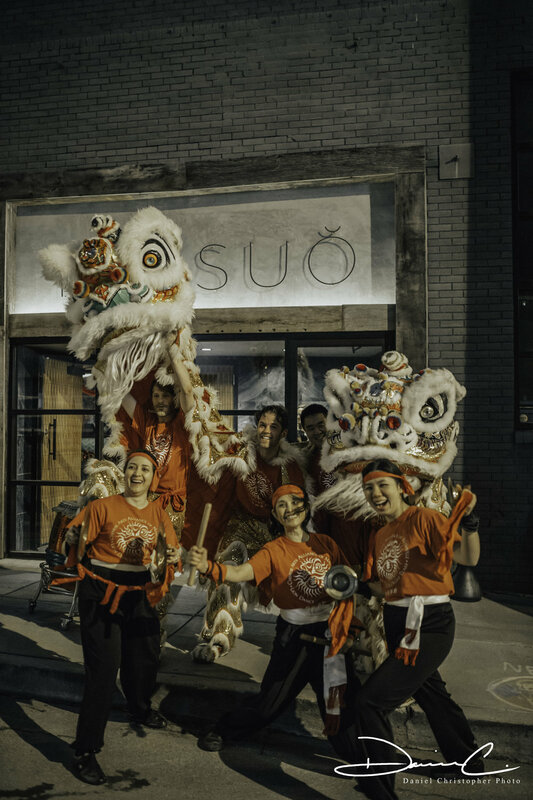 CAAN's Chinese Lion Dance Team for the Nashville Dragon Baot Festival, click here. Chinese Arts Alliance of Nashville @ shakespeare in the Park (front and back stage), click here. CAAN's Chinese Lion Dance Team with Nashville Dragon Dance Team of Chinese Arts Alliance, click here.